What Can You Sleep on Other Than a Mattress? How Do We Move Beyond the Mattress Myth? Most of us sleep on a bed—and, occasionally, the couch. But even though most beds are a combination of a mattress and a frame, platform or other surface, some configurations and designs are better for certain situations. For example: bunk beds and trundle beds have multiple mattresses and are often found in shared bedrooms to maximize area use without sacrificing personal space. They may even need bunkie boards in between to increase stability and add style. It’s as easy as trying out new things. All you need to do is sleep or lie down. How hard can that be? While we love a good mattress, it’s not an exaggeration to say that it’s not as common as we think it is. You don’t even have to go far to think of a non-mattress inclusive setup: Think about sleeping bags or hammocks. These aren’t unfamiliar to us, though they may be used only for special events like camping trips or sleepovers, due to their portability. There are places around the world that use very unusual sleeping surfaces, even though modernization and globalization has mostly made these items cultural oddities, as opposed to the norm. In Japan, a traditional futon is still common—and very different from the sofa bed we call a futon in the US. 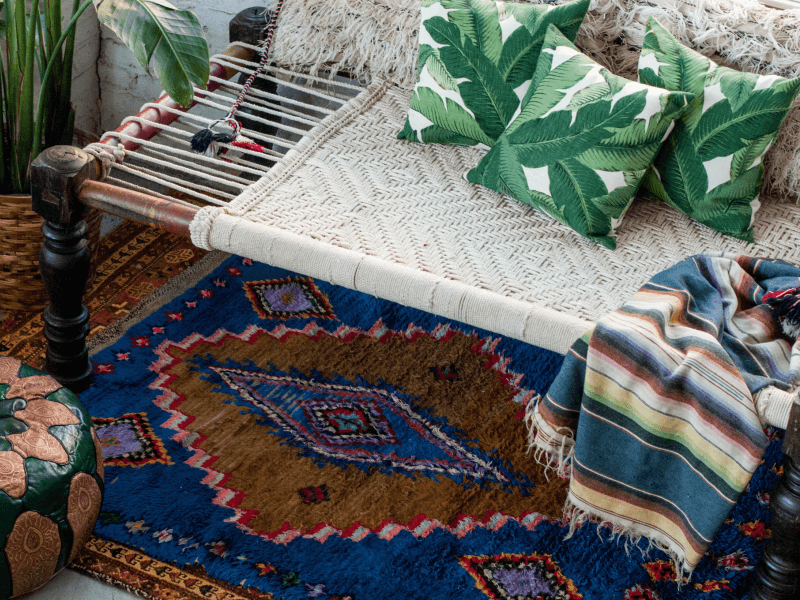 In parts of Asia and Central America, handwoven mats are spread out on the floor and used for sitting and sleeping, especially during warm summer months. 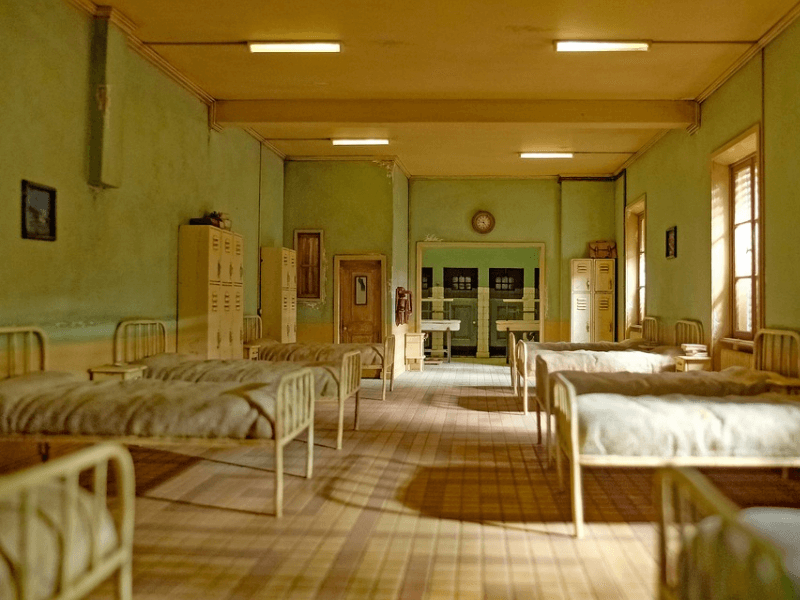 While the beds you will encounter throughout your life are all probably going to be the familiar mattress-and-surface type, wouldn’t it be great to explore more options? You may find that some may be better for you, or you may want to try some to get an authentic experience while on vacation. Here’s where we break it all down for you: Breaking Bed, a series where we introduce you to everything from hammocks to historically significant bed types. The list below includes everything we’ve written about so far. Let’s learn about beds! Pro tip: You can click on each item for more information. The links will take you to separate in-depth articles. The Philippine baníg can come in many shapes, sizes and colors. Baníg design—down to the very materials used—changes depending on the region in the Philippines it is from and on the ethnolinguistic group that made it. 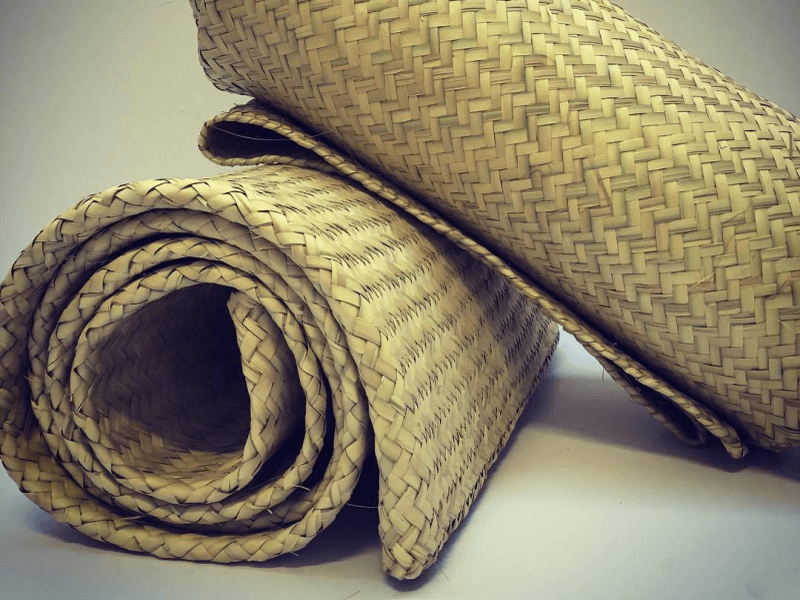 Artisans make a baníg from dried palm or pandanus leaves or blades of swampy reed grass. The drying process, sometimes under direct sunlight, strengthens the material and imparts a shiny brown tone. Sometimes the leaves are dyed before they are cut into thin, manageable strips. Then they are hammered and wound to preserve softness and pliability. There are no set rules for using a baníg. 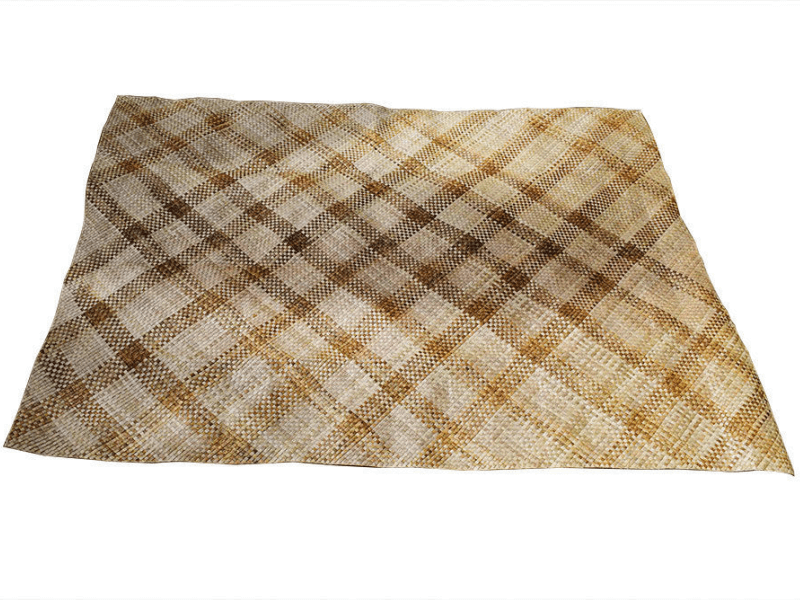 In fact, though it’s traditionally used for sitting and sleeping, many modern homes in the Philippines and around the world use these handwoven mats for decorative purposes, as wall hangings or in place of rugs. To use a baníg for sleeping, unroll it—indoors or outdoors, on the ground or on an elevated surface. The traditional handwoven bed from the Indian subcontinent is known by many names. It can be referred to as khatt, manja or manji; as well as variations of a term that literally means “four-footed”: charpoy, charpaya, and charpai (Hindi: चारपाई; Urdu: چارپائی). Main components of the charpai are a four-footed frame and a woven net made of rope or belts of fabric. Due to the prevalence of rope variants, the charpai is also sometimes referred to as a rope bed. The frame is usually made of lightweight wood, although modern ones may use metal frames. The rope or fabric is usually made of natural materials like cotton, jute, coir (coconut fiber) or dried leaves; but these days synthetic weaving material, particularly nylon, is also used. Use the charpai for sleep as is—no mattress, and often not even a blanket or pillow. The entire point is to maximize ventilation and prevent heat and humidity from interrupting sleep. During summers, it is very common to see charpai outdoors in rural areas; used for resting and socializing during the day, and for sleeping at night. The most important thing to know about the Japanese futon is that it is different from what we think of as a futon in the US. It is not the space-saving sofa bed popular with college students, although it is likewise flexible. The Japanese futon is actually thought of as a set of items: a shikibuton (敷き布団) and a kakebuton (掛け布団); often accompanied by a tatami(畳), a makura (枕), a mofu (毛布), and a taoruketto (タオルケット). This is similar to how we think of our beds as being not just a mattress and box spring; but also inclusive of blankets, comforters, pillows and more. Japanese futons should ideally be folded up and stores in an oshiire (押入) or a deep closet during the day, though it also must be aired out on a regular basis. It is normal in Japan to see people hanging their futons outside and beating them with a special stick made of bamboo to aid in shaking off dust and other particles. Yes, Murphy beds use mattresses, but by no means are they commonplace. The fact that it’s hidden when you’re not sleeping is what makes this bed unique. It’s also been called a fold-down bed, a hideaway bed, a pull-down bed, and a wall bed. 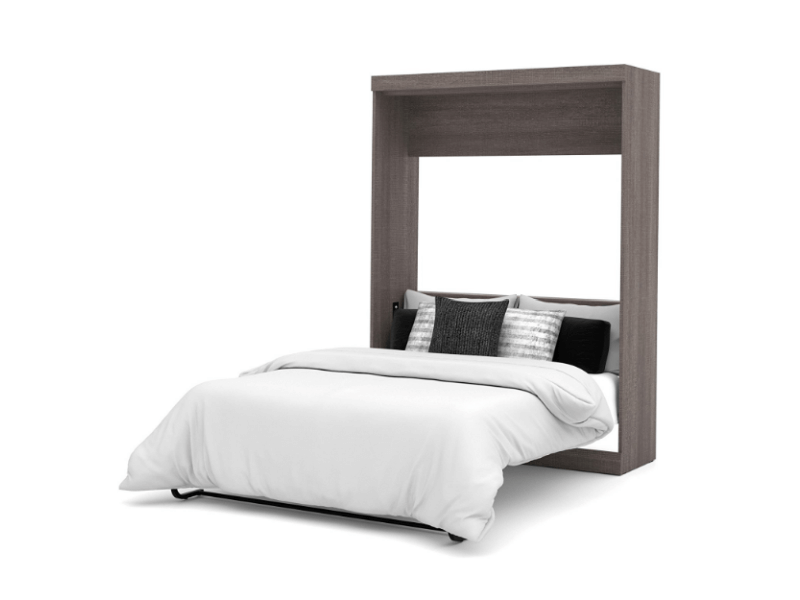 However, the term Murphy bed is most commonly used in the US and most of North America. The Murphy bed is featured in many comedy classics, from silent Charlie Chaplin films to Three Stooges scenes, and even more contemporary media like the film Who Framed Roger Rabbit and the video game series The Sims. These days, Murphy beds can also be mounted sideways, and may even come with a folding mattress. There are also models that include attached desks, drawers and shelves; for a truly efficient use of space. The origins of the petate go back to the Mesoamerican Pre Hispanic period. In fact, the name of this sleeping mat or bedroll is actually derived from the word petlatl from the Aztec language group Náhuatl. The petate is not made of textile. It is generally made out of dried and woven fibers of Leucothrinax morrisii, also known as the palm of petate, or other endemic varieties of palm or palm-like plants. The leaves or fronds are carefully cut and then left on a flat surface to dry under the sun. Sometimes some of the fronds are stained with vegetable-based pigments in order to allow for colored patterns in the petate design. After this is accomplished, the dried fibers are handwoven to create the final product. Like the Philippine baníg, the petate can come in all shapes and sizes, and the same weaving techniques are also used to make other items: baskets, hats, toys, and more. What is very different, though, is the way the idea of the petate has been firmly ensconced in cultural memory. This is likely due to the simple fact that the petate has been around since at least the 15th century. Though the petate is no longer significant as a sleeping mat for daily use, the notion of it remains alive and well in many common colloquialisms and idioms in the Spanish-speaking world.